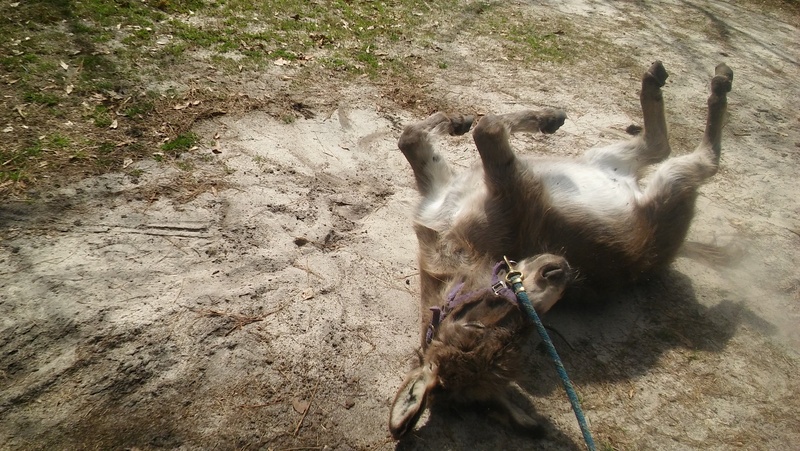 Our sweet miniature donkey, Little Star, loves to roll in the dirt on his walk back to the pasture. 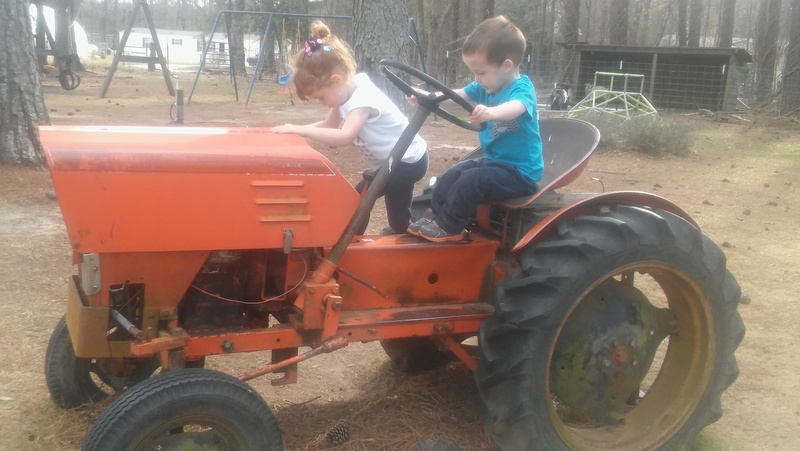 The birthday kid gets to help Mr. Mike drive the tractor! 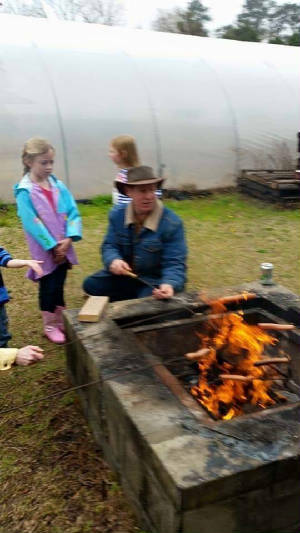 Available for birthday parties and field trips. Let us know when you schedule if you are interested. 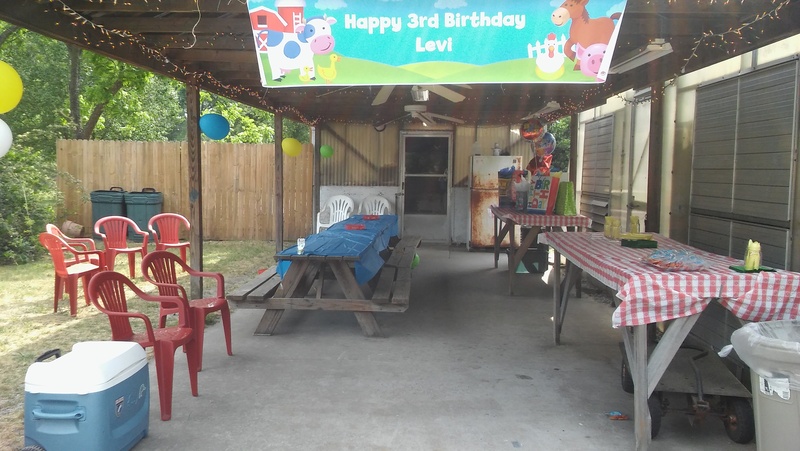 This is one of our picnic shelters decorated for a birthday party. We have 2 picnic shelters. This is one of them. Fox Farm is not responsible for any injury that may occur while on the premises.